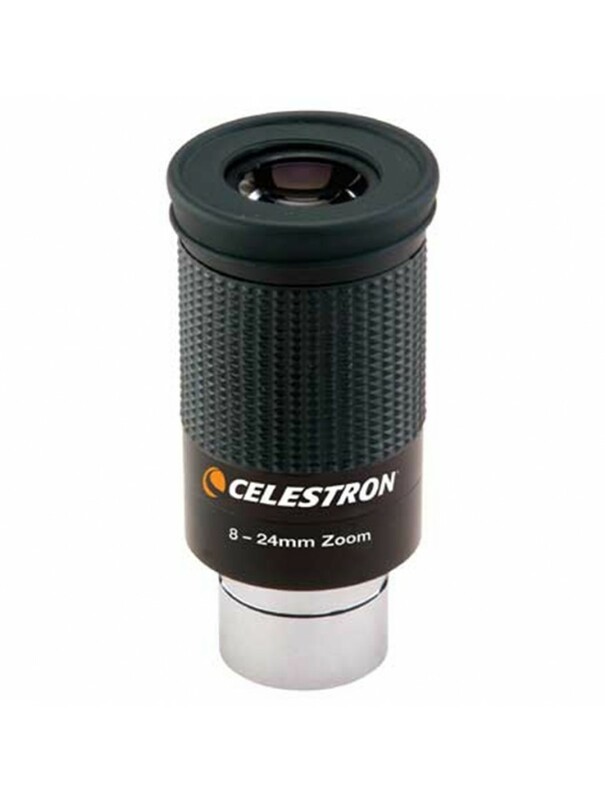 This fully multicoated Celestron 8-24mm zoom eyepiece gives you a virtually infinite number of magnifications in a single very reasonably-priced eyepiece . . . 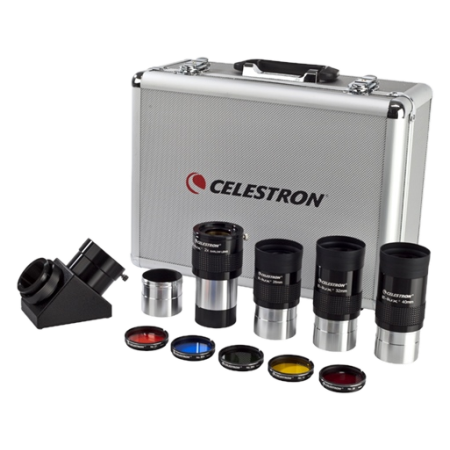 This Celestron zoom eyepiece is fully multicoated, with an 8mm to 24mm focal length range and a soft rolldown rubber eyecup for eyeglass use. The rubber eyecup can be removed to expose T-threads that permit direct connection of a camera T-ring and camera body for variable power imaging. As with all zooms, the apparent field of view of this Celestron zoom decreases as the focal length increases. 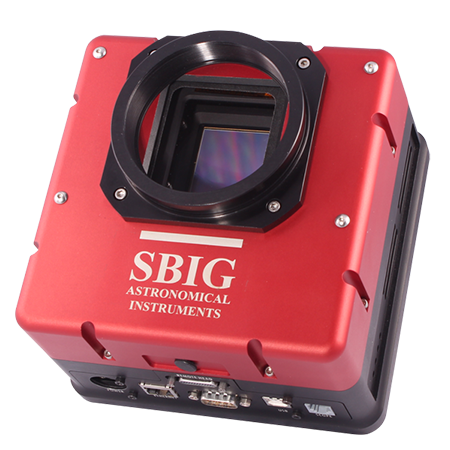 This generally results in a 20% narrower field of view at low powers and a 10% wider field at high powers than you can achieve with similar focal length single magnification eyepieces. 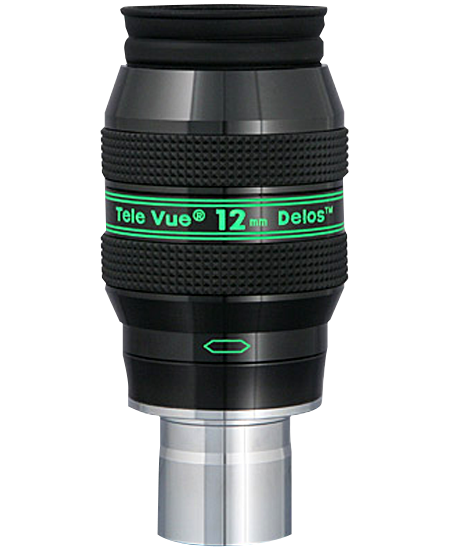 This is just the reverse of what most people expect from eyepieces - which is a wider field at lower powers, where you're usually observing larger objects that don't need as much magnification to fit in the eyepiece field, and a narrower field at high powers. Likewise, this Celestron zoom's usable eye relief decreases slightly as the focal length decreases, from a specified 18mm at a 24mm focal length to 15mm at an 8mm focal length. 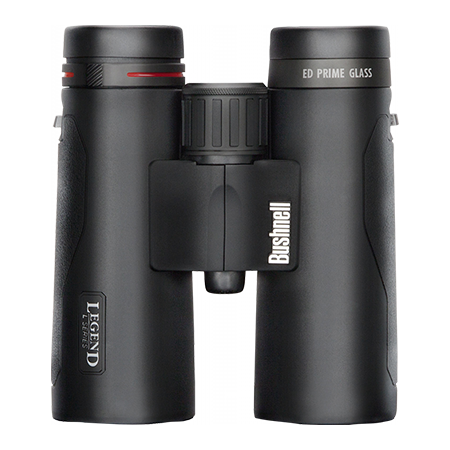 Contrast is also generally a little lower than you'll find in single magnification eyepieces of similar focal lengths. 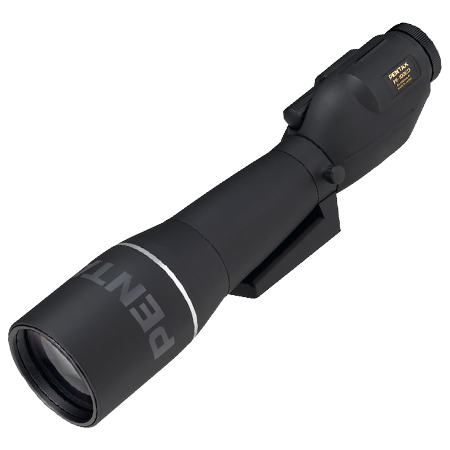 If these minor anomalies are not a problem for you, however, a zoom offers the convenient ability to precisely match the observing magnification to the seeing conditions, as well as offering a virtually infinite number of magnifications in a single reasonably-priced eyepiece. The eyepiece has a safety groove cut into its chrome barrel that will catch the thumbscrew of your focuser or star diagonal and keep the eyepiece from falling to the ground should the thumbscrew accidentally loosen during use. The power change band on the eyepiece uses a broad knurled rubber gripping surface that makes it easy to make small power changes, even in cold weather when wearing gloves or mittens. During 2018's Mars opposition, after having owned (but not used much) this zoom for over a year, I "discovered" that the main advantage of a zoom eyepiece is the ability to fine tune the magnification to what the nights atmospheric seeing is allowing (which is tremendously useful when observing the planets), so that on great nights you get superb high power views, and on bad nights you get lower power (but still sharp) views. When I eventually got a lunar field map, I got more interested on the moon, and there I also found that despite the nice views from my 82º widefield eyepieces, the advantage of the zoom to see the whole moon, and gradually zoom in to observe areas and match them to the map, and then zoom in for more detail, is really the best way to observe the moon. 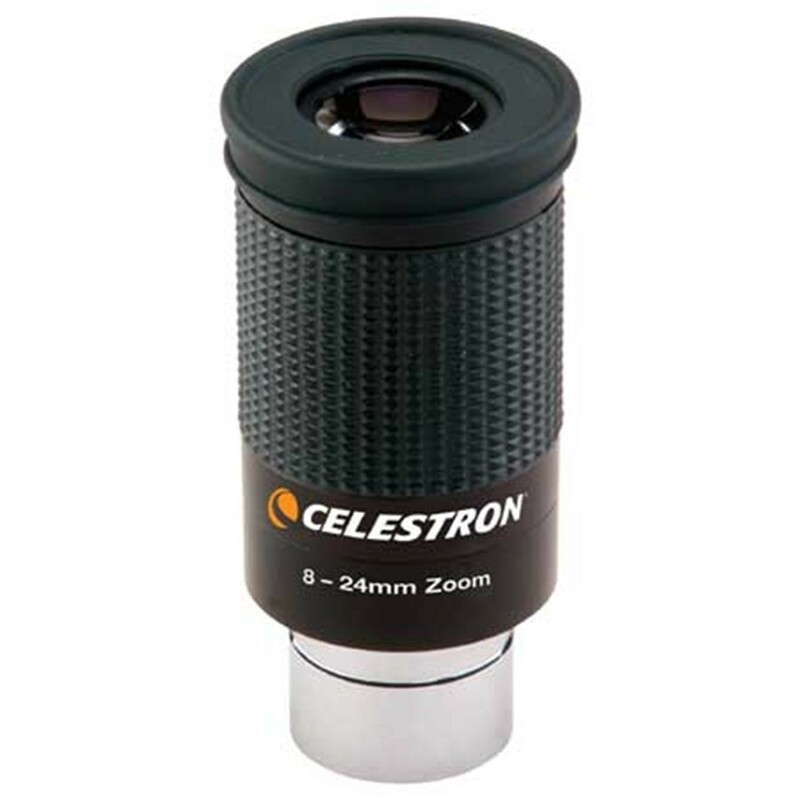 The Celestron 8-24mm zoom is a solid value and very functional, although it won't blow anyone away with quality of build or innovative optics. Mine "clunks" very slightly when I shake it but this has not affected the quality of the views through it as far as I can tell. 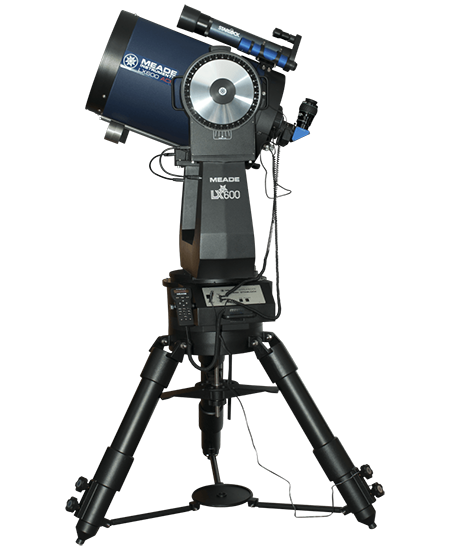 I've put this eyepiece to use mainly for planetary and lunar observation as it has a usable field of view that would be considered narrow compared to many non-zoom eyepiece designs. 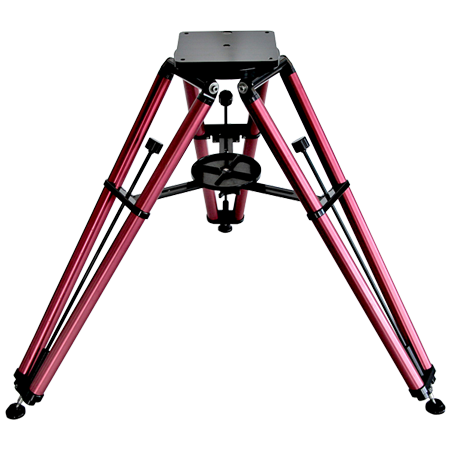 I believe that it delivers a sharp, vivid image in the center of the field of view. Unfortunately the edges are not especially well corrected. Perhaps this is a part of the eyepiece design; perhaps it is a result of the "clunk" I occasionally hear. This eyepiece has come in handy during outreach events because I rarely have to change it out regardless of observing target and I don't worry about the cost as much if it gets damaged.